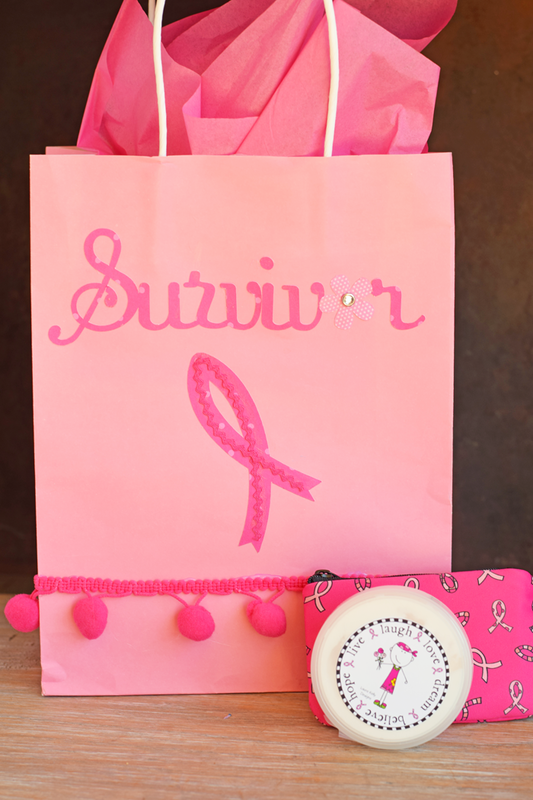 Do you know a brave survivor of breast cancer? 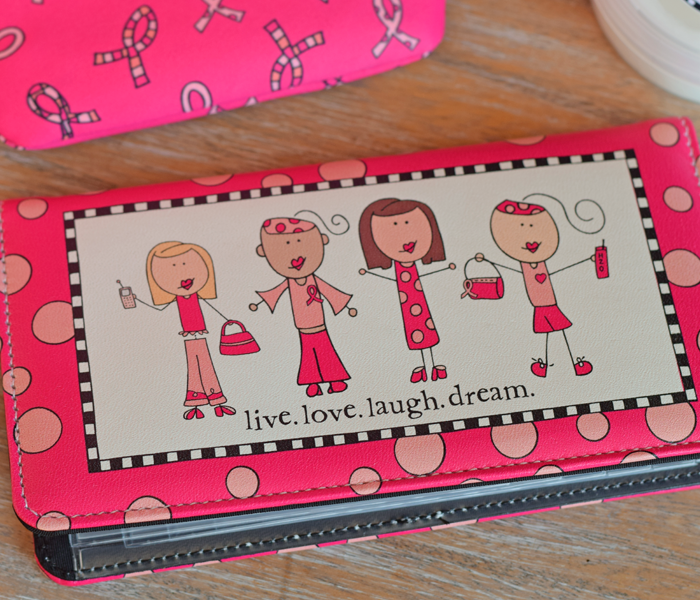 Celebrate with them this month with this easy gift idea! 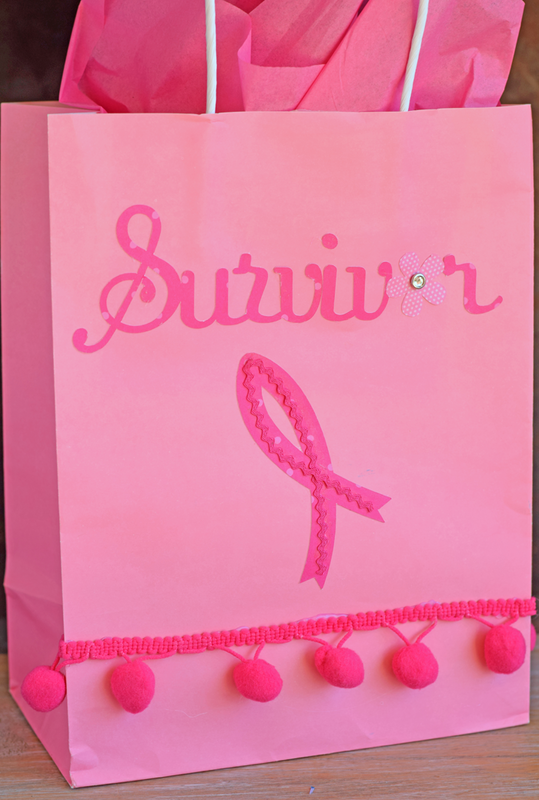 I’m sharing this Survivor Gift Bag for Breast Cancer Awareness project today as a part of the Laura Kelly Design Team. Thank you to Laura and Checks in the Mail for sending this awesome set of items for me to bless someone! This post may contain affiliate links. 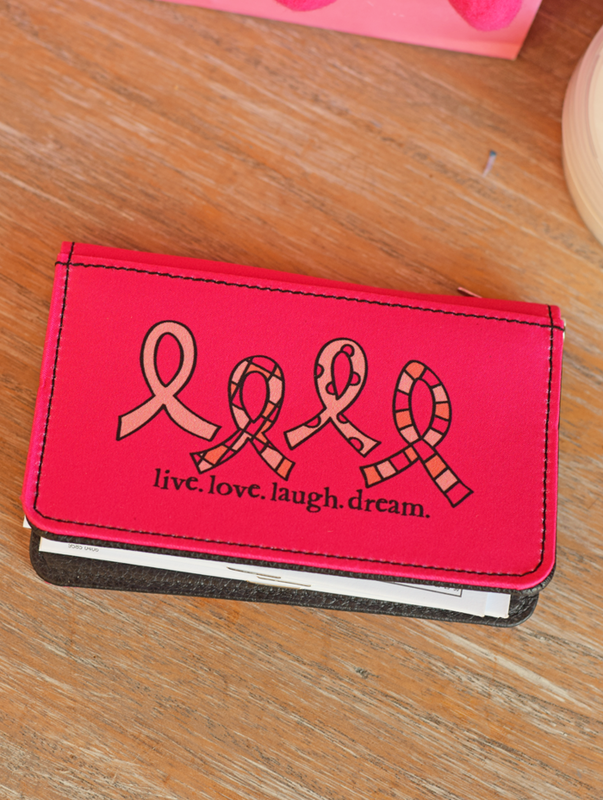 Breast cancer hit home for many people. 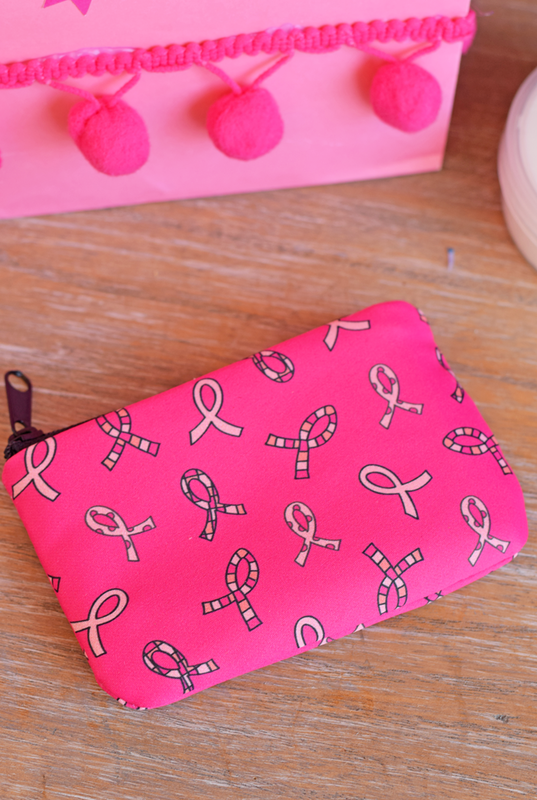 My grandmother and many other special ladies in my life have battled breast cancer over the years. 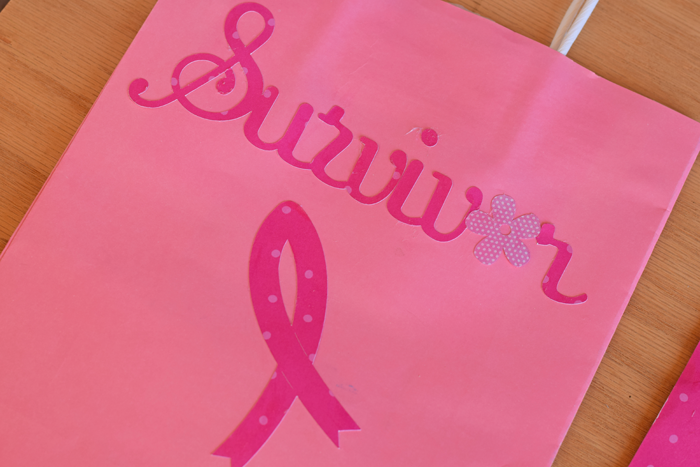 October is Breast Cancer Awareness month, and it’s a good time to celebrate with and recognize those who have bravely fought the battle with breast cancer and are survivors (as well as honor and remember those who are no longer with us). 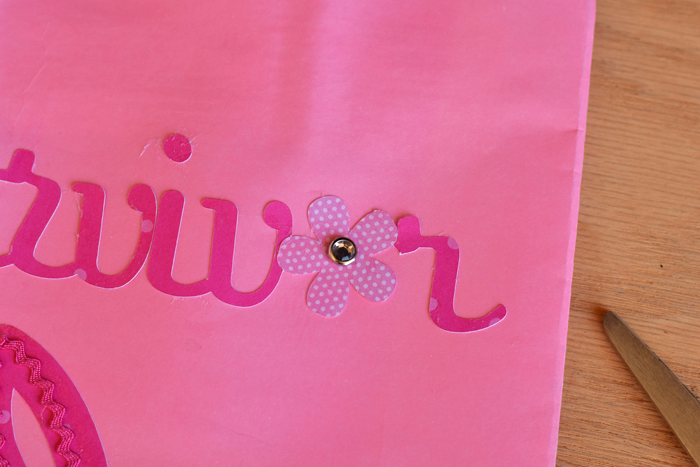 I used a few craft notions and a Cricut Design Space cut file to embellish a plain gift bag. 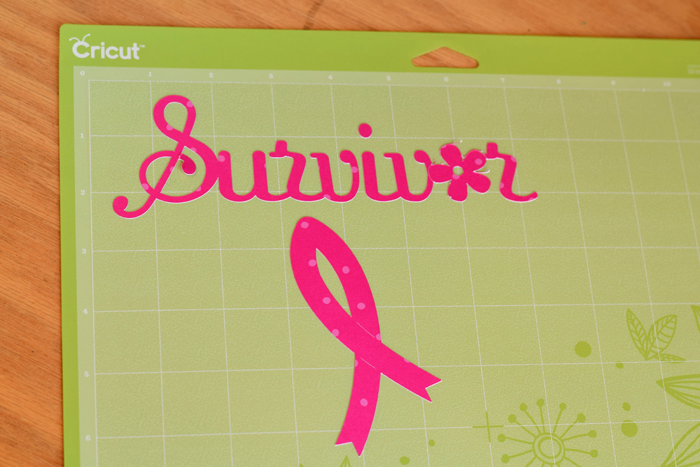 Using the cut file from Cricut Design Space, cut the image from the Laura Kelly Designs scrapbook paper. 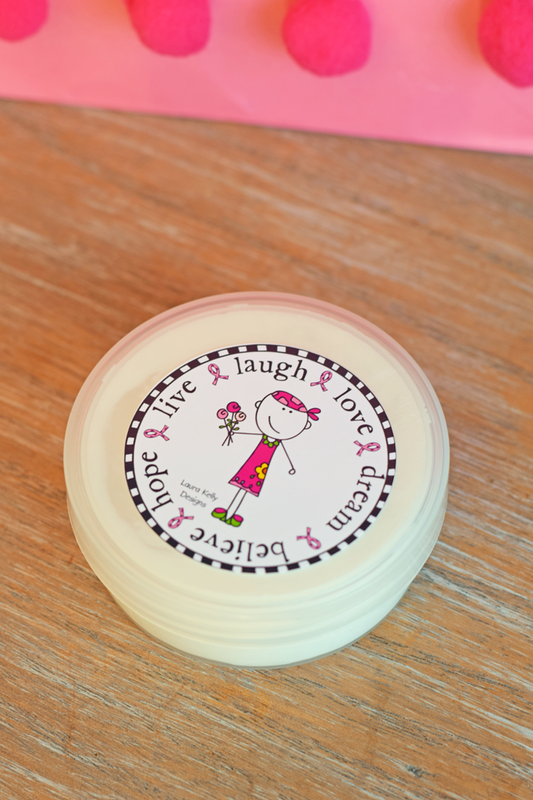 Glue the image to the gift bag. Want to know something cool? The Laura Kelly paper is reversible, so I was able to flip the flower before gluing it. Add the brad through the flower center and the bag. 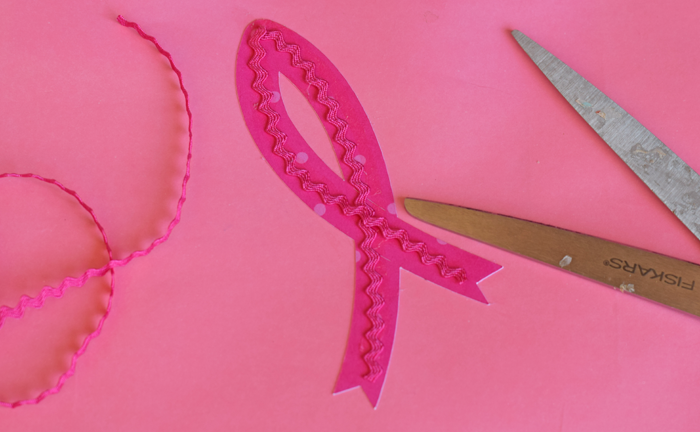 Glue the ric rac over the breast cancer awareness ribbon. 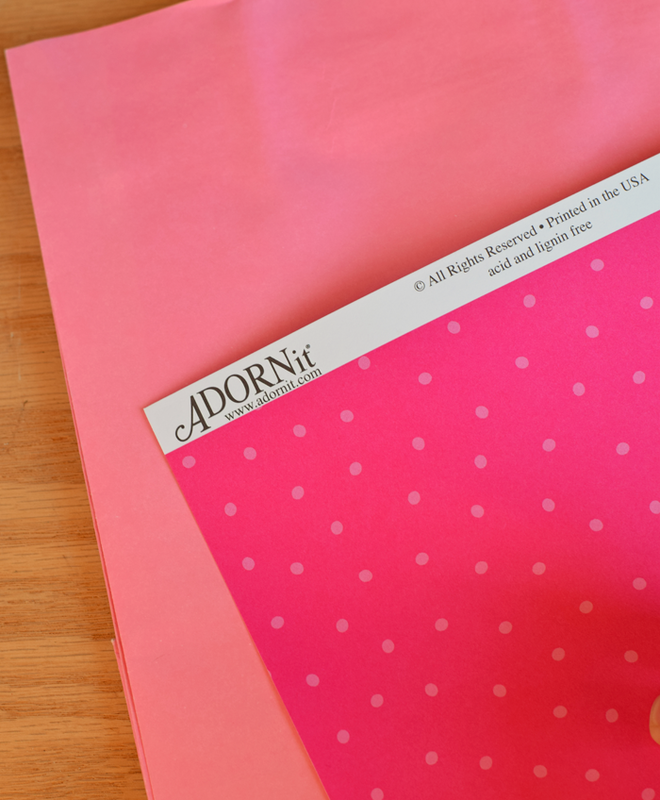 Cut a length of pom pom ribbon and glue it to the bottom of the bag. Fill the bag with a few gifts for your special someone. The following are Laura Kelly products from Checks in the Mail. 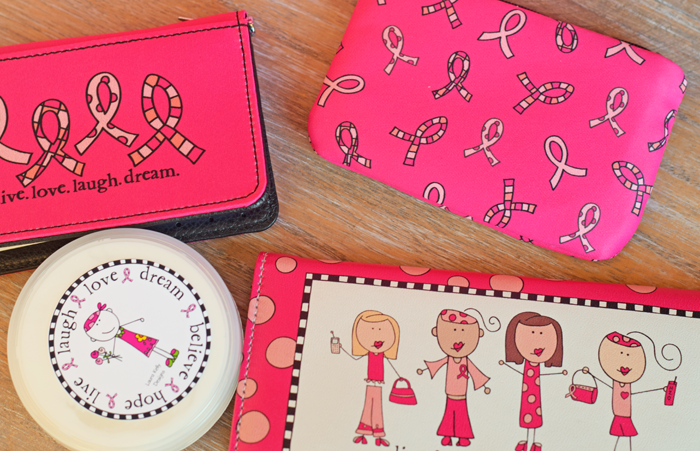 This is such a lovely idea and a beautiful gift bag!